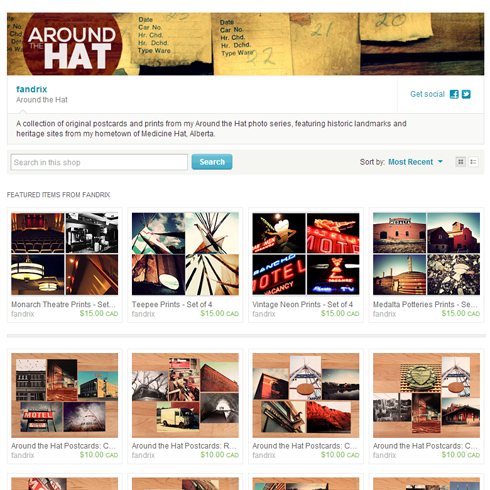 After I created an online print shop to debut the first series of my Around the Hat postcards last month, things have continued to move quickly. I've had a blast getting everything up and running, however after a few weeks I realized that I needed a more efficient system for people to browse and purchase the postcards I was designing. The result of all of this is my new Around the Hat shop on Etsy. So, what's new with the shop, you ask? For starters, all postcards have now been grouped into sets of 5 for purchase. This has allowed me to reduce the cost of the cards from 4 for $10 to 5 for $10 because I won't be spending as much on transaction fees from individual sales. In each set I've also bundled related postcards together to showcase more of the series and highlight images that some may have missed the first time around. By hosting my shop on Etsy I now have a much more user friendly layout that allows visitors to scan what's available more immediately. Details for each set are also more clearly listed now, and the shopping cart takes all of the manual work I was doing out of the sale (which is better for everyone). You may have noticed the size of the shop has expanded with this renovation too. In addition to the remaining stock I had of the series 1 postcards, I've released a second series of cards featuring 65 new images from Around the Hat. This means the shop now features 105 unique postcards! 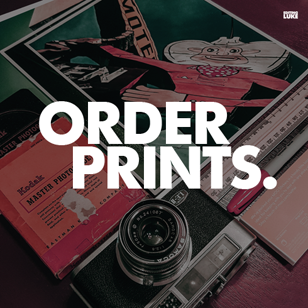 Whether your mailing or framing them, there should be no shortage of options to choose from. I'm also still selling custom prints by request, but as an added feature to my shop on Etsy I'm offering discounted print sets. 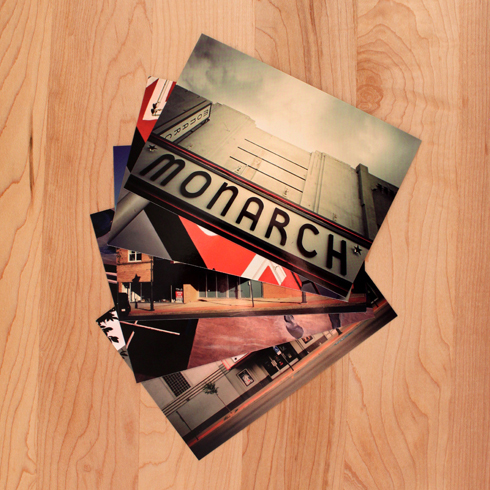 I've organized sets of prints for locations like Medalta Potteries and the Monarch Theatre. This is just one more way of sharing the collection, providing more variety, and making it easier for visitors find things they like. Let me know what you think, snap up a few of the limited postcard sets before they're gone, and share your requests if there are more prints you'd like to see in the future. Once again, I want to thank everyone who has supported this series and who is helping me to showcase these amazing locations. Explore the new shop here.